Porcelain veneer treatments used to improve the looks of a smile became popular in the 1980’s. This was due to dentists increased ability to predictably bond the porcelain materials to peoples teeth. 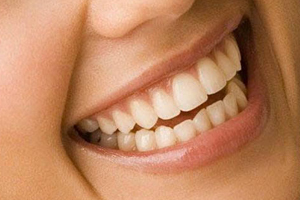 The first type of porcelain veneer was called feldspathic veneers. These types of veneers are created using porcelain powders and liquids to build the veneer by the artistic technician’s hands. While talent and artistic ability would vary greatly, it was and still is possible to get very natural and esthetic looking feldspathic veneers. (see our feldspathic veneer blog). The downside of feldspathic veneers was related to their fit, strength and difficulty in reproducing exact characteristics of a smile. This meant that dentists and patients would be more concerned about veneers chipping and fracturing during function in the mouth. Also, if a patient and dentist approved the look of the temporary veneers and wanted the dental technician to reproduce that same look for the porcelain veneers, then it was difficult to perfectly match the characteristics of what was in the patients mouth. Today we look at protocols that assist our treatment outcomes to become more predictable, from the design phase to the actual fabrication of the porcelain veneers. Manufactures worked to create stronger veneers with more predictable workflows. Industry wanted ceramic materials where dental technicians could have more consistent results, better fits and less fractures during fabrication and in mouth. New ceramics called Leucite reenforced became popular. These ceramics have twice the strength of the feldspathic veneers and a more streamed line workflow that could provide consistent results for technicians. 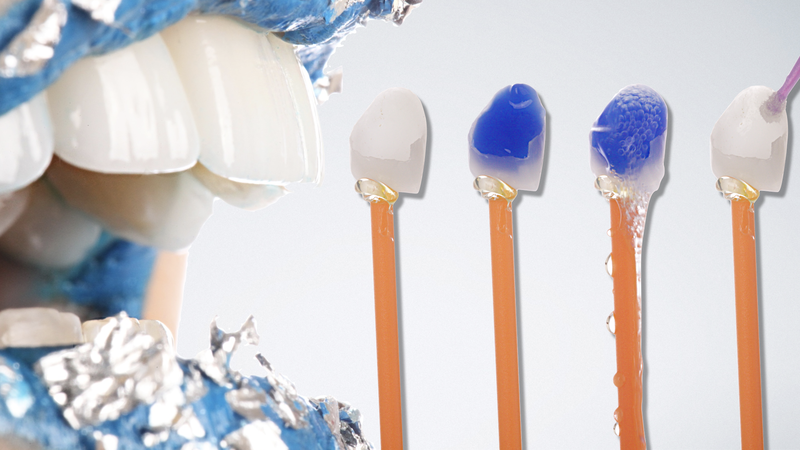 A popular brand of Leucite reenforced Porcelain is IPS Empress by Ivoclar Vivadent. I personally have placed thousands of Empress veneers in my patients mouths and can personally speak for the strength and beauty of the porcelain. While many manufactures can create similar products, dentists choose based off of their own personal experiences and their laboratory technicians recommendations. If a dentist works with a technician who has gained extensive experience working with one manufacturers porcelain, then the dentist would wisely not to ask his or her technician to try something different for their own patients. Use you dentists recommendations for choosing a material for your new porcelain veneers. IPS Empress veneers are both strong and beautiful and can be made more natural looking in the hands of the best technicians. Pressable veneers are made by making a stone cast of wax veneers, then heating and pressing a small puck of porcelain into the casting. The pucks come in many different colors and translucencies and are chosen in the laboratory based off information from the dentist regarding the color of the existing teeth, the final shades and the thickness of the finished porcelain veneers. Beyond being “Pressed” newer techniques allow for “Milling” the veneers. Milling veneers in a machine has been possible for many years, but it getting more popular for veneers and crowns in the smile. This is due to dentists or technicians ability to scan the patients teeth, temporary veneers, printed models of smiles or use digital smile galleries to produce the final veneer shapes in porcelain. Similar to pressing veneers, milling veneers can again be made more natural looking in the hands of talented technicians. Concerns for layering porcelains at the incisal edges to create more natural effects making porcelain veneers more susceptible to chipping, some dentists and technicians are opting to leave the milled or pressed veneers “Monolithic”. This monolithic veneer is stronger at the incisal or biting edges of the teeth. This is a debatable benefit, since chipping in most patients is a very small percentage and the negative of being monolithic is less natural results. In the last several years, Ivoclar Vivadent produced and patented a newer and stronger Lithium Disilicate porcelain called e.max. The strength of e.max, over twice as strong as IPS empress, quickly became popular among a greater percentage of general and cosmetic dentists who had concerns over the strength of all ceramics restorations. Fabricating monolithic e.max became an ideal replacement to other types of less natural looking crown options and could be used for crowns and veneers. Over time, talented technicians could again make e.max look very natural like other types of porcelains, and the material gained increased popularity. As the patent for Lithium Disilicate porcelain ran out, other companies like GC America were able to produce their own aesthetic variations of the porcelain type. The question becomes one of beauty or strength. While there is no question that Lithium Disilicate porcelain is stronger than Leucite reenforced porcelain, the aesthetics is more debatable. Most dentists who have experience placing porcelain veneers appreciate the beauty of Empress over e.max which can be compared to two beautiful diamonds of slightly different cuts. Empress is just a little more brilliant. Still fighting to increase strength and gain other beneficial optical properties, manufacturers are currently working with Zirconia materials of various translucencies. These materials are a slightly different category than our other ceramics, because they are currently not bondable as a veneer, in the same way as the other ceramics materials mentioned above, however that may be changing in the future. Today Dentists choose materials for various reasons, but the variety of choices increases as does the strength. Cosmetic dentists need to stay current in porcelain systems and their risks as well as their benefits. Ceramics materials need to be chosen based on various reasons besides strength, and the most beautiful outcome on one person’s teeth may be achieved using a different porcelain than on another person’s teeth due to the way ceramics interact with the underlying tooth structure, colors and shapes, as well as thickness of the porcelain in the final veneer. Choosing a cosmetic dentist with experience and having a dentist that works with a talented technician is vitally important to getting the most beautiful and longest lasting results. Dr. Jason Olitsky is the Director of Aesthetics and Photography with The Clinical Mastery Series a group that teaches cosmetic dentistry post graduate courses to dentists in cities around the country. Communications through our website or via email are not necessarily encrypted and are not necessarily secure. Use of the internet or email is for your convenience only, and by using them, you assume the risk of unauthorized use. By clicking this box you hereby agree to hold Smile Virtual Consult, its doctors and affiliates, harmless from any hacking or any other unauthorized use of your personal information by outside parties. Additionally, you understand that we will contact you as part of the function of this form.